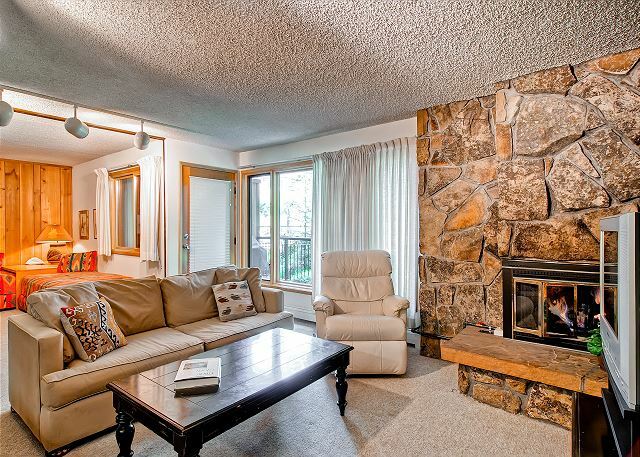 This condo is a ground floor unit and steps to Fanny Hill and the pool. Patio has a gas grill. This kitchen has every thing you need to prepare breakfast, lunch or dinner. King bed with private full bathroom inside. Front door is on the second floor. You can enter through the patio on the ground floor. William B from New York, NY does not recommend this vacation rental. Our family rented 2 condos at Shawdowbrook over New Year's...This was an absolutely fabulous place to stay. The unit that we stayed in was well equipped,attractive, comfortable and very easy to ski in-out...Thanks to Sherry for all her help both during the rental process and during our stay...Can't wait to go back!! 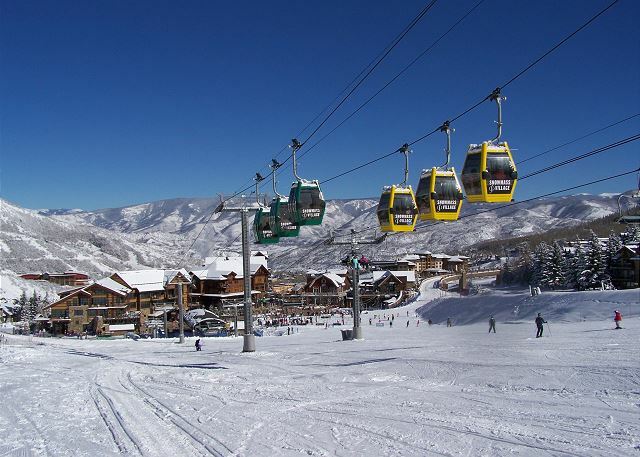 This was our first trip to Snowmass, and having skied many of the major mountains in the West, I'd say Snowmass is among the best. 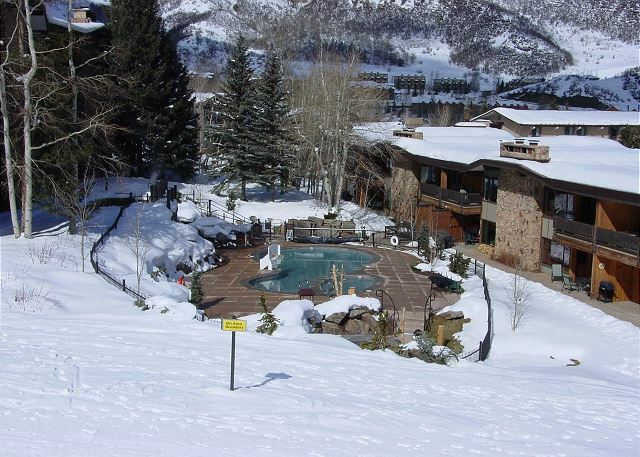 The property's location was unbeatable, and having the unit on the ground floor, steps away from the pools and the Fanny Hill, was one of the best ski-in/out setups I have experienced short of a stand-alone house. It appears to me that the building was among the first slopeside condominiums built at Snowmass, from the look of it, I'd say late seventies, so the developers must have had one of the first picks of locations. Which brings us to the one negative of the property - the interior looks to be if not original, close to it. I understand that location is key, but at these rental prices, I think the owners would be well advised to sink some money into a renovation. The kitchen looks to be from the seventies, and the baths don't look much newer. The furniture is old, poor quality and not comfortable (the mattresses were fine). 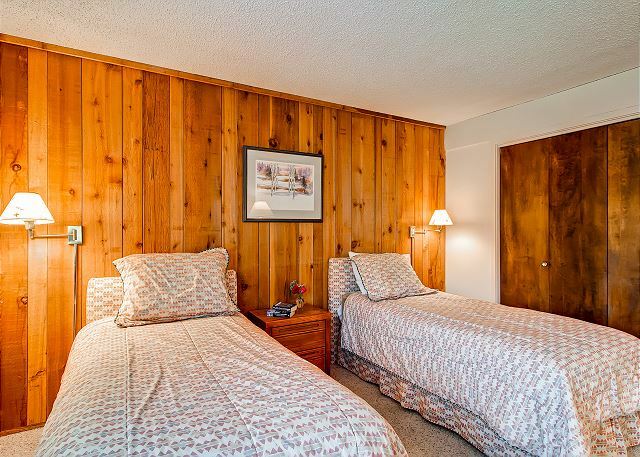 While I would definitely consider staying at Shadowbrook again, and would recommend the building, I would inquire with management about getting a unit that has better/newer interior first. We really enjoy the property, I would recommend. I would rent it again with no doubt. Staff excellent, condo could use a little updating. Ron D from Pacific Palisades, CA does not recommend this vacation rental. 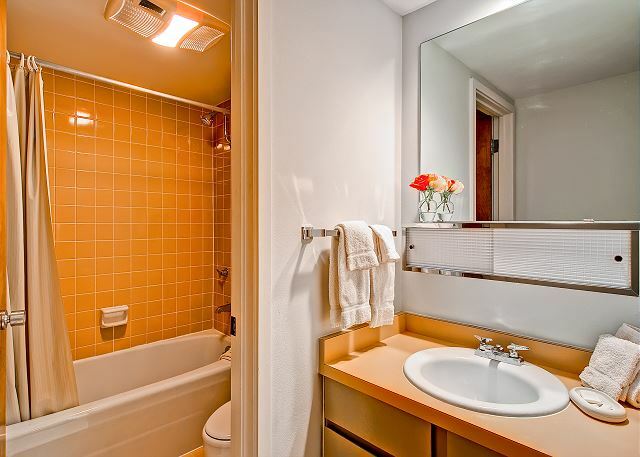 Location was terrific, unit clean but... Could hear people upstairs walking around at all times (very loud) including every time they flushed the toilet. (2) The wi-fi was severely slow on my computer and when I asked I was simply told that "no one else has complained" but no offer to even look at the problem. (3) Although we lowered the thermostat, the temperature in the condo ranged from 70 to 74, even at night and there was no way to lower it (this is during the winter !). But the staff was very nice and efficient and, like I said, the location can't be beat. This was our third time in unit 404. We have young kids and we feel very comfortable here. It's not as 'showy' as other units but it is very warm and welcoming. The location and proximity to the pool is perfect. Very nice vacation. The property is nice, clean and practical, though a bit old fashioned (not recently renovated). My biggest concern regarding a future visit is cost. Great condo to stay in. 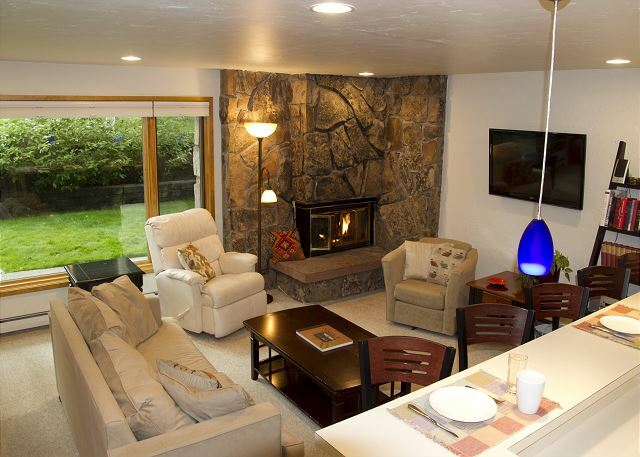 Close to the hot tub and easy ski in and ski out. Just wished it had a washer and dryer.Housekeeping is excellent,couldn't ask for anything better. I recommend SHADOWBROOK very much! For those who want ski and confort. Perfect place with perfect snow for skiing. This was our second rental of unit 404. It is convenient, spacious and comfortable. We like that it is so close to the pool. The only drawback is that the decor and amenities are so out-dated. The owner really needs to upgrade and modernize. Love the location and management is great to work with. Maintenance is quick to respond when needed. Loved the new furniture arrangement. This is our 3rd stay in this condo and the management is friendly and responsive to every request. Best ski in/ski out location we've found anywhere. Lower Shadowbrook, #404 - We had a great week at Shadowbrook! 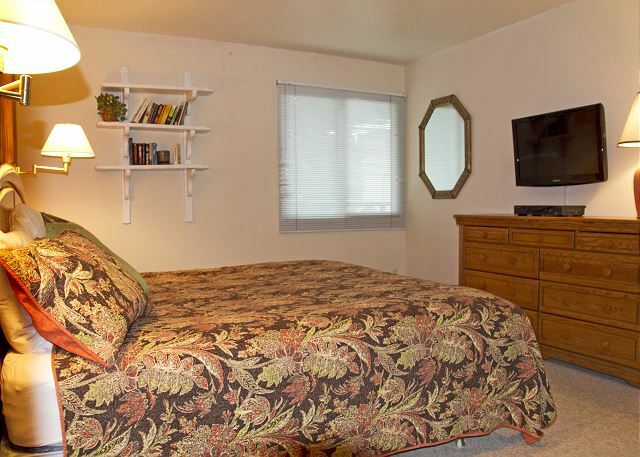 The unit was very spacious and conveniently located. The pool is right outside the door and my kids were in it all the time. 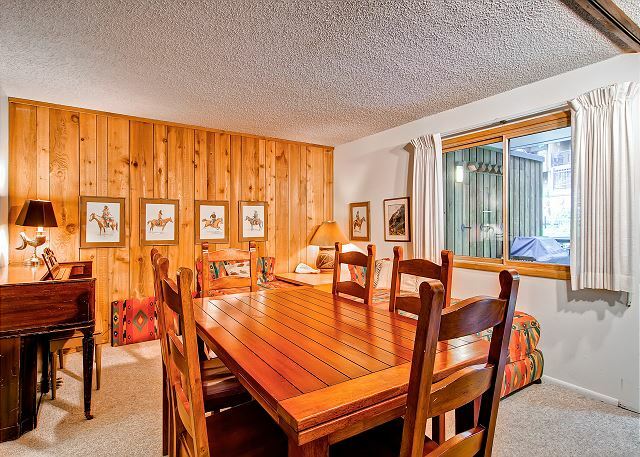 The property is very nice and well-maintained. There was some nearby construction that make parking a bit inconvenient but nothing major. We plan on returning to Shadowbrook in the future. This was our second stay at Shadowbrook. We have found the staff to be extremely responsive to every request. The unit is great (although it could use some updates). We loved the new hot tubs and pool. 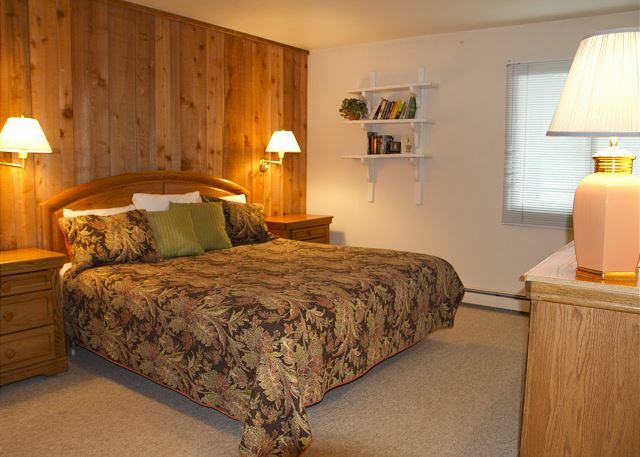 Excellent location; very good accommodations; very helpful staff. Our condo was very quiet; free parking.